While I work on my apartment window shopping posts (they are taking a lot longer than I expected - too many good things!) 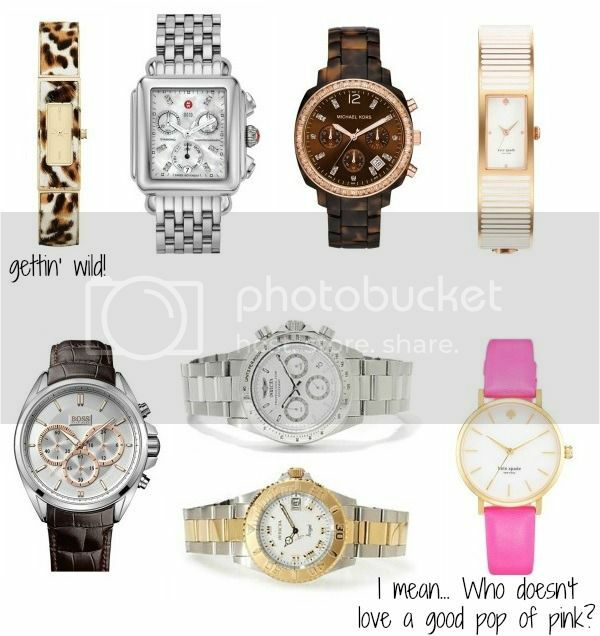 I'm bringing you a round up of my favorite watches. I've been wanting a new silver watch for a while now and finally broke down and got one. Tune in Friday to see it! In the meantime, I'm really loving the picks below. oooooh, the pink one is my favourite!